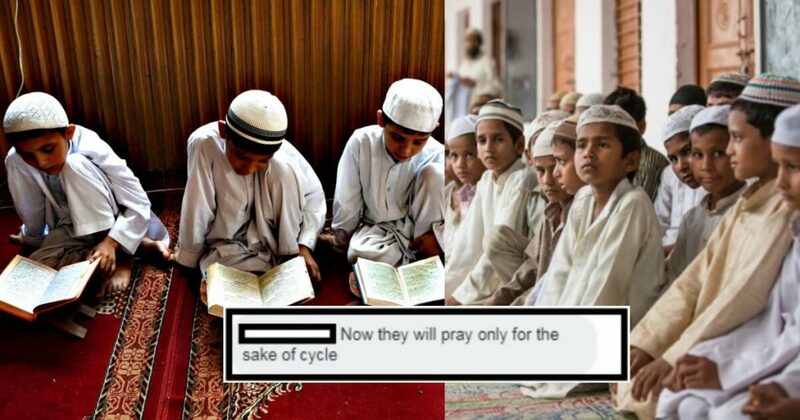 This Mosque In Karachi Has Started A ‘Namaz Competition’ For Children And It’s Making Some Very Angry! To encourage children for namaz, Baitussalam Welfare Trust has started a competition for young boys aged 10-15 years to pray Fajr salah at the mosque for 40 days. According to the details, ‘I Am A Musalli’ will be running in Karachi, Lahore, Islamabad, and Peshawar from 18th March to 29th April 2019. The winner of the competition will be awarded an imported bicycle after 40 days. For participation, one has to enroll first and then the volunteers will mark their attendance every day. Here are the complete details! With a tagline ‘Win A Cycle For 2 Cycles Of Fajar’, the campaign is getting appreciation and criticism at the same time. Social media users think that it is a kind of bribe for a child while others are giving examples of Turkish schools where the same sort of campaigns have been run by the government and parents admire it. Namaz For The Sake Of Allah Or For The Bicycle? Almighty Allah and His Prophet (PBUH) has commanded the parents to make their children a better Muslim and to fulfill this responsibility. Parents are obligated to command their children after reaching the age of seven years. From the moment they become ‘mumayyiz’ – the age at which a child can distinguish between right and wrong, a man and a woman and what to eat and drink. It is the responsibility of the parents to teach their children namaz so that they pray with all the required conditions. To make children habitual of namaz in this era of smartphones and other technological devices, ‘I Am A Mussali’ is a good initiative. But the parents are also raising a valid question about giving an incentive for offering namaz when it is a purely an Islamic duty of a Muslim. What do you guys think of this competition? Is it a good initiative? Share your thoughts with us in the comments!